Magic fans, pasok tayo dito! Number 1 ang team natin sa Eastern Conference at this point. Maaga pa nga pero maganda na yung ganito, para may springboard to do well in the next games. Dwight Howard has been a MONSTER. Jameer Nelson has been steady at the helm of the Magic offense. Grant Hill is doing fine with the team, same with Darko who is intuitively developing his game. All the other supporting casts are doing their work en route to a current top seed placing as of today. Sana mapunta si VC sa Orlando next year! him and howard would be sick. I have high hopes for the Dwight-Darko tandem. A Darko-Biedrins comparison will be inevitable. been an orlando fan since 93 but for orlando to get VC they have to unload grant hill unless hill agrees to a minimum salary for vets. dwight howard is a MONSTER!!! I agree.. He has a resemblance with the pre-injured amare.. Both can dominate the game.. though howard is way up there right now..
yeah, they're dubbed as the frontcourt of the future. i have doubts on darko,, masyadong malambot maglaro! GAME TODAY: @ Utah Jazz. The best East team is coming to the best West team's home! Go Magic and beat the Jazz! Oyoyoyoy panalo Magic sa Jazz! Congrats sa Magic! Nanalo na naman tayo! On the road pa against the best NBA team right now!!! Puwede mo na bang makisakay sa bandwagon ng Magic? Kidding aside, the bench of Orlando is really deep they can give other teams with highly regarded benches a run for their money. *** And it's kinda scary that their top draft pick JJ Redick has yet to show his stuff. bakit sa all-star balloting, nasa mga forwards si Grant Hill? mula umpisa naman ng season siya na ang starting SG ng magic dba? Pwede pwede. Mukhang kakaunti lang ang Magic fans dito eh. Kelangan ko ng kasama kausap dito dahil magmumuka naman akong ****. Boto nyo starting five ng Magic sa Ballots. I've been voting for Dwight for the last week and a half. Salamat. Niyayari kasi sa kangkungan ang Nets ko so far eh. Indeed, Orlando and Utah are the surprises of the season. Panalo nanaman tayo mga ka-Magic! 94-84 laban sa Seattle!!! Grant Hill received an inbounds alley-oop pass off a back door cut with 0.3 seconds left to give Orlando a dramatic 91-89 win in Portland on Friday. Dwight Howard totaled 18 points, 16 rebounds and four blocks, while Hill finished with 16 points. 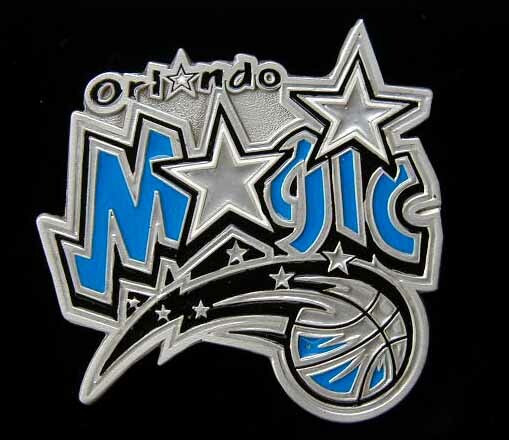 Hedo Turkoglu added 13 points and the winning assist for the Magic, who have now won six in a row. Will Darko ever become a starter for the Magic?